Right located in Wet Land Park and inspired by Zhouzhaung Ancient Town culture, Pullman Zhouzhuang offers vibrant leisure escape for global nomads and ideal venues for MICE group. The hotel is located in about 3 minutes' drive to Zhouzhuang Ancient Town Attraction, around 1h drive to Shanghai Hongqiao International Airport. 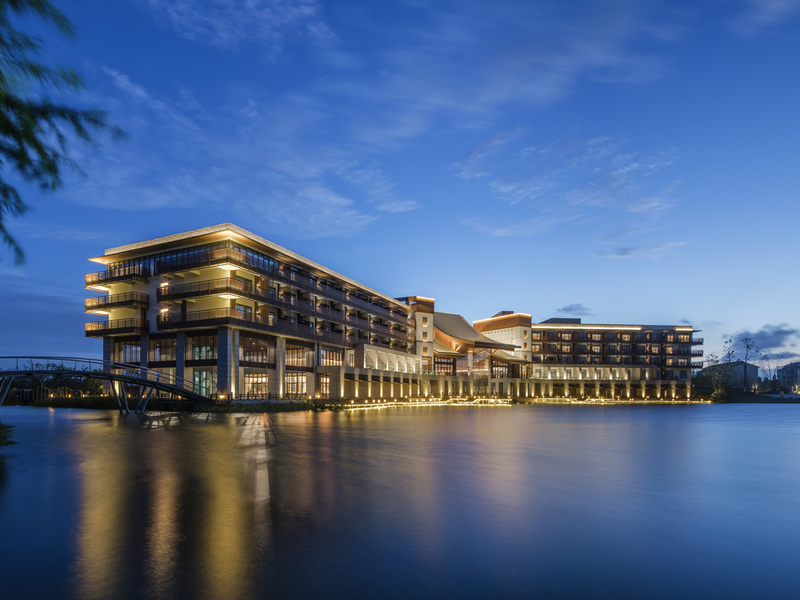 Pullman Zhouzhuang provides a vibrant leisure escape for business and global nomads. Each room is perfectly appointed with our signature Pullman Bed, soak bath, rainforest shower, satellite TV, yoga mat and free broadband Internet access. The hotel features lake and park view rooms. Elegant and featured with Kun Opera culture, La Lune Chinese Restaurant showcases Cantonese cuisine classics and local menus, which diners can enjoy from 18 private dining rooms with exquisite garden view, an ideal venue for business and leisure dining. A flexible-configured, pleasing lakefront all-day-dining restaurant with chic à la carte menus and buffet, providing vibrant space and atmosphere for leisure dining. Two-tiered Lobby Lounge in tranquil vibe featured with floor-to-ceiling glass embracing Swan Lake, serving gourmet coffee, craft cocktail, fine wine and freshly baked patisseries as well as delectable food menu. Work-friendly Wi-Fi access available. Features a décor infusing Chinese and cosmopolitan elements and serves a wide variety of fine wine, sophisticated cocktails created with artisanal spirits and impressive snacks.